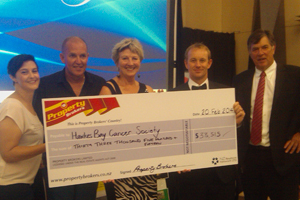 Since day one, giving back to the community has been at the very core of Property Brokers culture and values. We believe there is no better place to live than in Property Brokers country and we are focused on making our communities better, more exciting places to live. 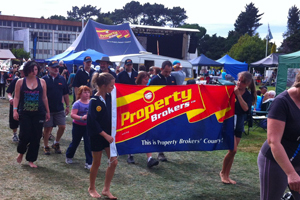 Throughout our organisation, you'll find Property Brokers' people quietly putting enormous effort into their local communities. Cancer is something that touches everybody’s lives. 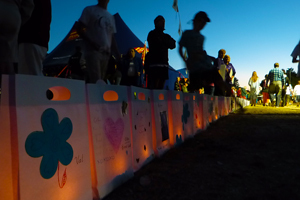 Relay For Life not only raises enormous amounts of money for the Cancer Society and their fight against this terrible disease, but it also celebrates the survivors and the great stories from people battling to overcome cancer. If you have taken part in the candlelight ceremony for the survivors at dusk you will know what a truly special event this is.As the inaugural sponsor when Relay For Life was first held in 2001, right here in Property Brokers Country, we've seen this event grow and develop nationally and have grown our involvement accordingly.